now that looks like a nice twist on left over mashed potatoes. fancy yet simple. What a nice idea to use up leftover mashed potatoes..and a great way to impress company! That sounds very yummy! I like your new banner....I always liked the rolls best though! heehee! Thanks! That looks very good. What a fun twist with mashed potatoes!! Oh I almost forgot...Love the new banner! 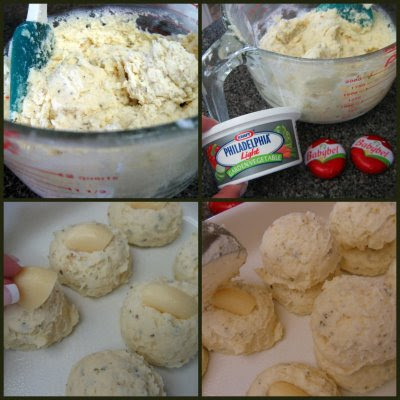 Okay, I may have to make mashed potaotes this weekend just so I can try this! It looks amazing! And of course, I've never met a potato I didn't like! Ingenious! Great idea! My guys would love these! Yep...I agree...super nice and season appropriate new banner!!! Now, this is something I've never seen. I'll be that cheese in there is yummy . . in fact that sounds like it could be a whole meal deal for me! I'm so glad I found your site. What a great idea with mashed potatoes. Great idea for left over mashed potatoes. I like the idea of individual servings.